At Moving Service we understand that moving can be a difficult process. That is why we have taken it upon ourselves to create an outstanding removals team that can help you with all of your local, national and international removals. Based in the SW15 and SW14 areas, our removals firm in Roehampton, SW15 can help you to achieve a quick and efficient move with one of our many basic to comprehensive services. Ranging from cheap van hire to professional removal packages, our services are unrivalled in the local area. So whether you want to hire a small to medium-sized moving van in Roehampton or a full-on moving service don’t think twice about giving us a call on 020 8746 4402. All of our moving vans are modern and reliable and all of our movers are expertly trained. Further to this, all of our removal packages are available at unbelievably low prices and will never leave you scraping the pennies. If you’re worried about whether our services are right for your move then you can even ask our moving team in Roehampton for some free and impartial advice. All of our customer services team will be happy to talk you through your moving options and can even give you a free and no-obligations quote. 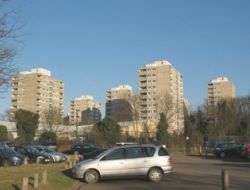 The area is located in southwest London and is part of the Borough of Wandsworth. Originally an affluent village on the outskirts of London, it is now a sprawling residential area which covers the SW13, SW14 and SW15 postcode districts. The nearest tube stations are at East Putney and Southfields on the District Line, while the closest over-ground train station is in Barnes. At just 6 miles from Charing Cross, the area is also well-connected for commuters who work in the city. The main road through the area is the A306 which links the area with the town of Barnes in the north and Wimbledon Common to the south. Following its significant growth, the area is now a popular place to live and is home to a number of key educational and sporting facilities. The local university is based here along with the International Tennis Federation and the Lawn Tennis Association. With its close proximity to Richmond, the London Wetland Centre and Richmond Park are also popular places to visit from here, while the attractions of central London are only a short tube ride away. Wishing for a Smooth Move? Check Out Our Moving Services! If you’re moving in and around the Roehampton area then there really is no better firm to help you get things going. All of our Roehampton movers are experienced at working in the SW13, SW14 and SW15 areas and will always know the quickest routes to take. So if you want to make sure that your house or office removal is completed in the quickest possible time, make sure you get our local team on the case. Our Moving Service removals company in Roehampto is known for being one of the best in the local area and will only ever help you to have a smooth and stress-free move. So if you hate moving and want to make sure that your treasured heirlooms or living room sofas are in the best possible hands then make sure you get in touch with us on 020 8746 4402 right now! With an extensive team of movers and removal vans, we are sure to have a van hire, man and van or comprehensive removals service in Roehampton, SW15 that can sort you out. If you’re still not convinced after speaking to our friendly team then why don’t you ask around the local area? With so many satisfied customers, you are sure to find the reassurance that you need after just a couple of questions. Moving Service is a very professional removal company in Roehampton. They helped me a lot!